in the center of Paris (today the 1st Arrondissement). 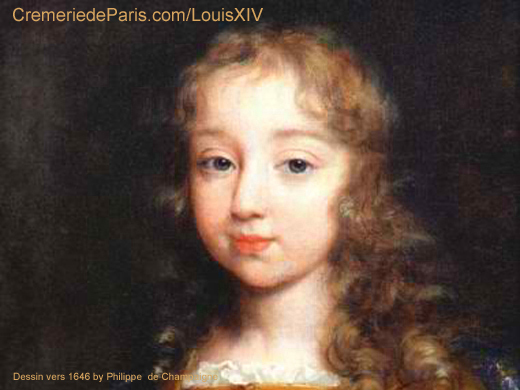 The mother of Louis XIV, Anne d'Autriche did not feel comfortable at the Louvre. She thought that the long hallways were too cold in the winter. 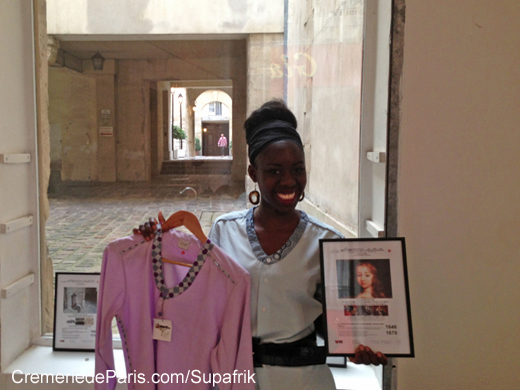 she prefered to move to the Palais Royal. This map was drawn by Jan Janssonius in 1657 when Louis XIV was 19 years old. 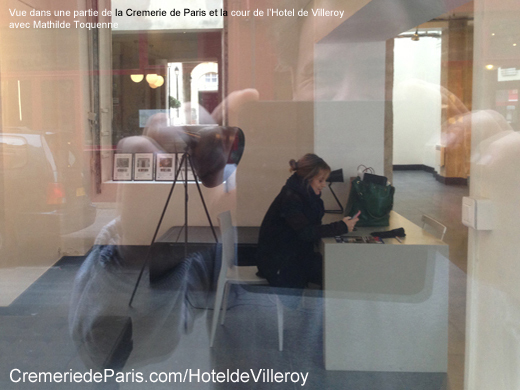 to the nearby Hotel de Villeroy owned by his tutor, Nicolas V de Villeroy. 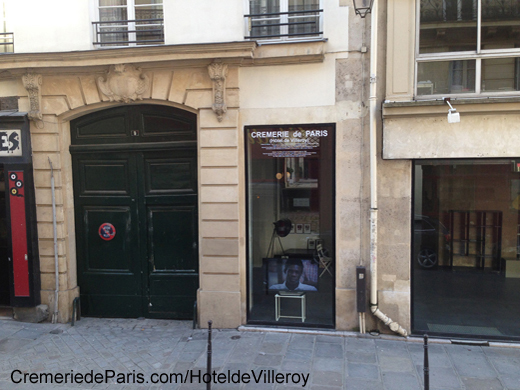 The Hotel de Villeroy "down the road"
going along the rue Saint Honoré towards les Halles. it is one of the most historic streets in Paris. at the corner of rue des Bourdonnais / rue des Déchargeurs / rue de la Limace. 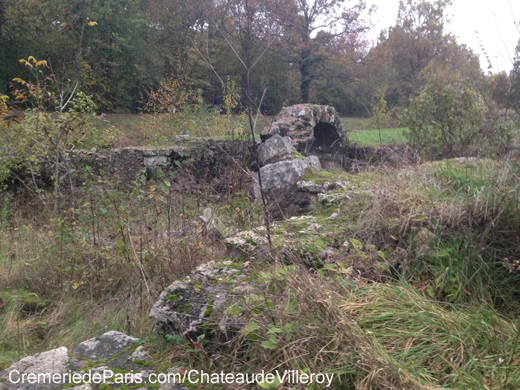 the garden of the Hotel de Villeroy, only the green gate you can see on the picture existed. is almost identically the same. and 34 rue des Bourdonnais on the other side. but it is hidden by a 1870 building on 19 rue des Halles. 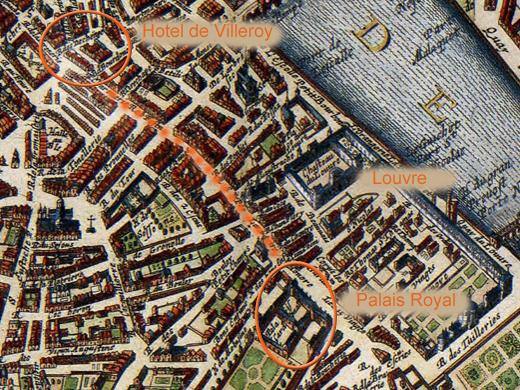 by the later creation of the Rue des Halles. a 7 year old child. to leave very young Princes with a nanny. 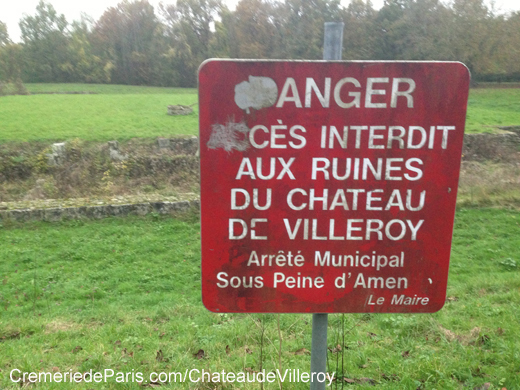 and home of the young Villeroy children, Catherine and François. located on the grounds of part of today's Cremerie de Paris. and the King's younger brother Prince Philippe de Bourbon (born in 1640). 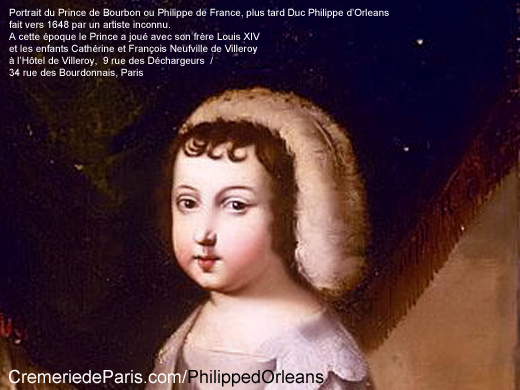 By far the youngest child was Francois de Villeroy (born in 1644). the Villeroy children at a young age. Images only exist when they were grown up. It is also possible that other young children were part of the group. as if he had enjoyed to have a protective role for a much younger child. fascinated fashion icons and many important people. 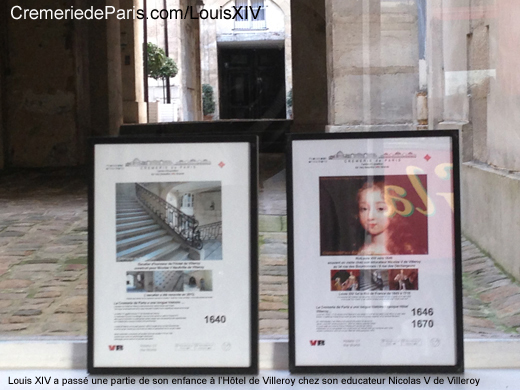 One of them was fascinated by the "number 5"
The number "5" in the staircase symbolizes Nicolas "V" de Villeroy. 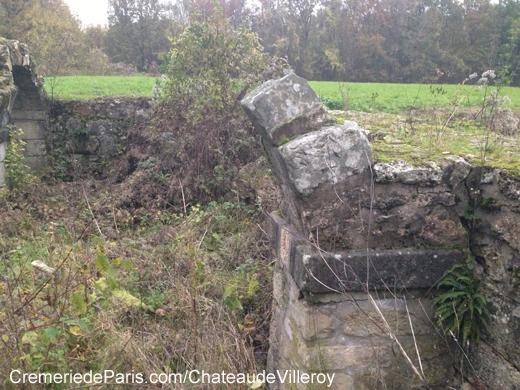 Unfortunately the castle (château) does not exist any more. that the "amazing idea" to sell the stones it was built of as construction material. Not very thoughtfull for later generations. 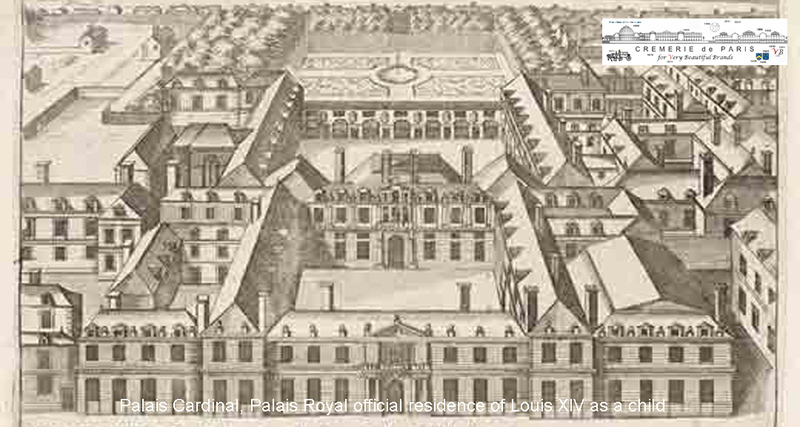 Louis XIV must have been to the Château de Villeroy between 1646 and 1654 ? (but we need to study more about history to find proofs of this supposition). an amazing 108 ha park with very old trees. 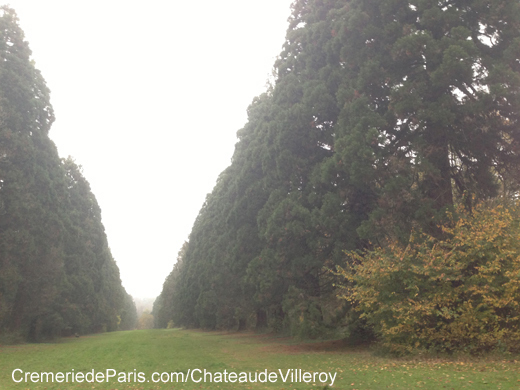 The above photos show the allée des Sequoias. came to the Cremerie de Paris, a long long time after the Villeroy. the park is worth seeing and it is not very known. 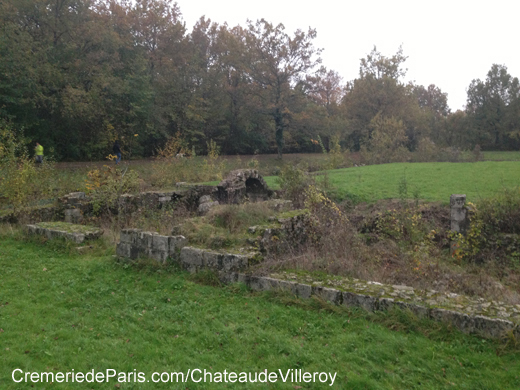 to the Gare de Mennecy (5 minutes walking distance from the parc de Villeroy). 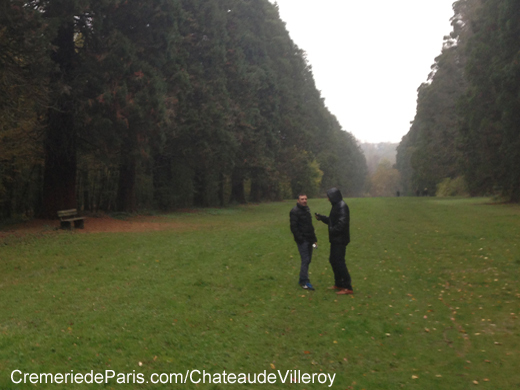 were invited to come to the Relais de chasse de Versailles. 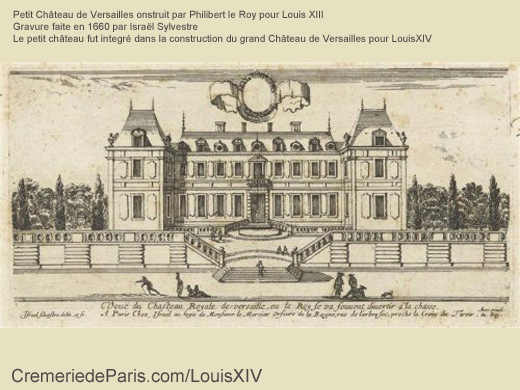 to become the château de Versailles. 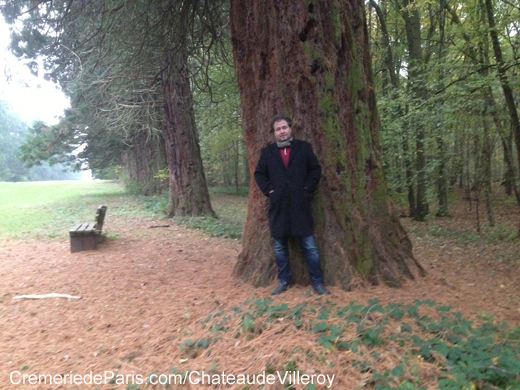 He moves in there in 1682 after some years at the Vieux Chateau de Saint Germain en Laye. 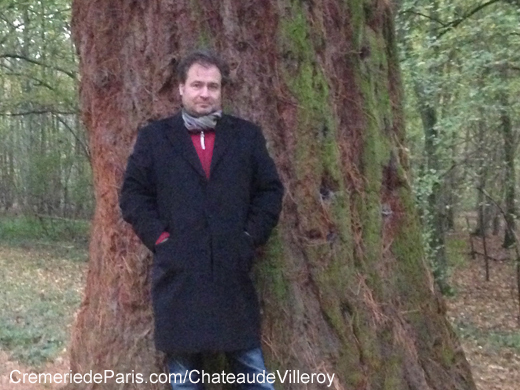 Nicolas V de Villeroy's mission as an educator was accomplished. 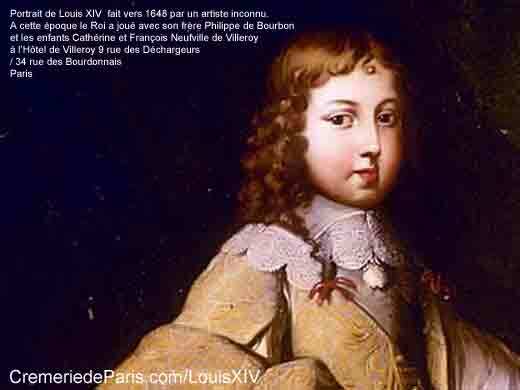 But the King and Nicolas V stayed friends until his death in 1685. The friendship with his son lasted until the end of his life and beyond. 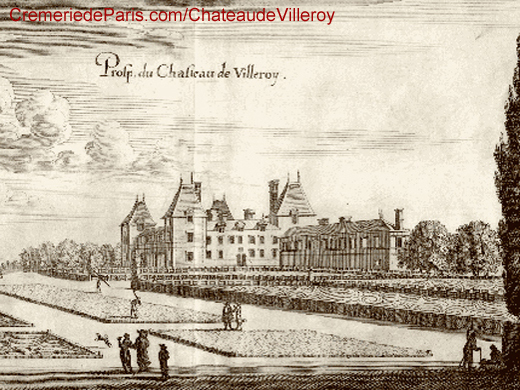 and sold the "historic" Hotel de Villeroy in 1671.
facing the castel of Saint Germain. 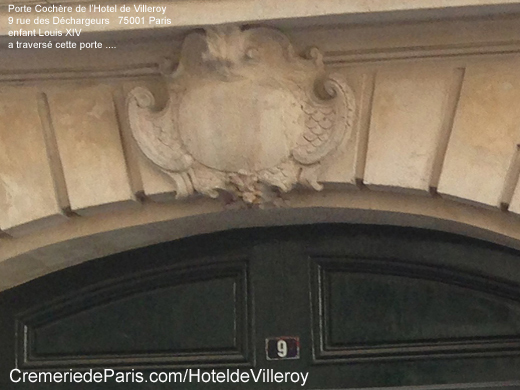 They sold the historic "Hotel de Villeroy" in 1671. 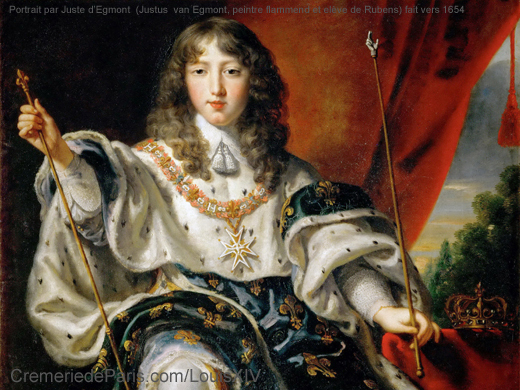 Later they moved with Louis XIV to the court of Versailles. when Louis XIV has been to the Hôtel de Villeroy for the last time. - It could also have been just before 1671 ? ?, date when the building was sold. even until 1711 ?? , the year of the end of his life. one of the most elegant houses in Paris. or their common children and grandchildren. Documentation was lost during the French Revolution. Imagine not even the name of the architect is known today. Napoleon III's Pavillon Baltard food market. from the late 19th or early 20th century. There is someone that has a lot of merits in this story. Pompidou like to "faire place à la modernité" (create space for the modern times). ... to become a modern car parking. real estate speculators that ended in a bankrupcy scandal. as one of 4 Boutiques for Sony products, all located on rue des Halles. and were opened by the editor of this article at a time he was 20.
became what must have been the very first Internet cafe in Paris. in the history of the 20th century. later in the early 1940s the girlfriend of JFK's older brother Joseph Kennedy Jr.
of the "just born Internet phenomenon"
how much she enjoyed to surf on the web. in the later creation of the website Palace Hotels of the World. but unfortunately the cafe did not keep un "livre d'or" (a visitors book). and the historic real estate. nor as a cheese store but as expo center and film location.